This project was funded on 27 Aug 2016! 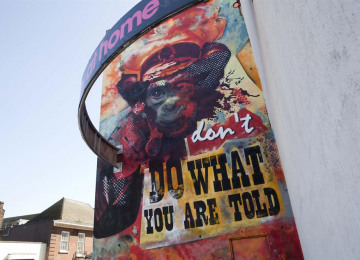 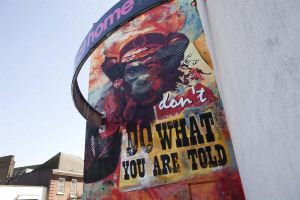 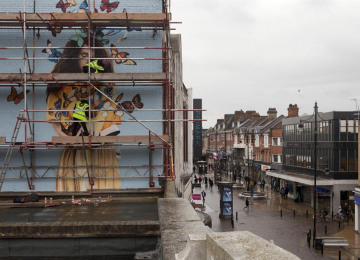 Here in Romford we believe Art is for everybody - we want to free it from it's ivory tower and plaster it all over walls...literally. Last year we started our mission, working with local artists to produce four street art murals which now proudly brighten up our High Street. 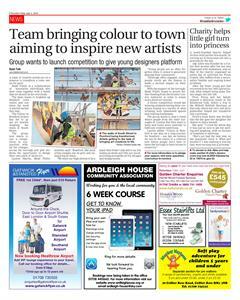 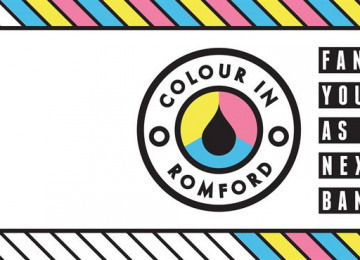 An overwhelming response from our community has fuelled us to take Colour in Romford a step further. 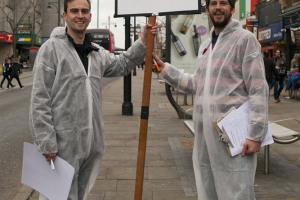 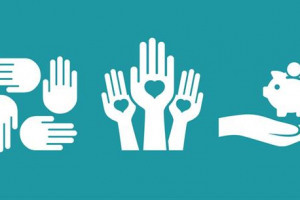 Young people are so often forgotten when it comes to genuinely shaping their community. Although often engaged, young people rarely get the chance to make a serious impact on their town. 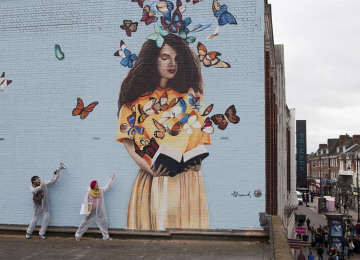 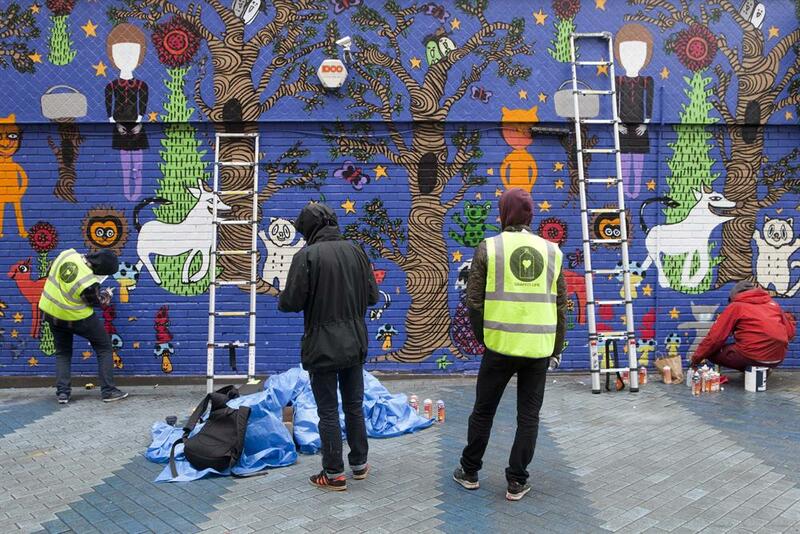 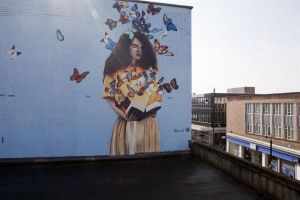 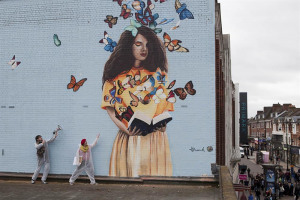 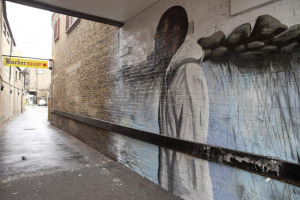 We want to launch a competition with every College in the Borough, giving local students the opportunity to design their own piece of street art, whilst learning about the regeneration of Romford, and the impact of cultural regeneration on a broader scale. 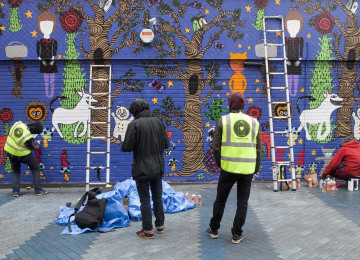 Once selected, our winners will work with our partners, local businesses and landlords to bring their creations to life...making our community colourful! Educate College students on the importance and possibilities of cultural regeneration locally and further afield. 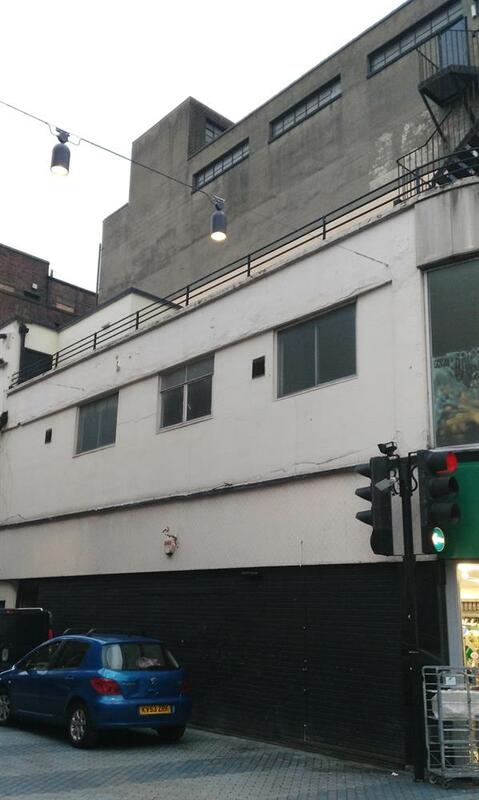 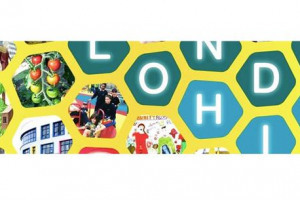 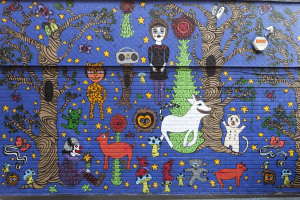 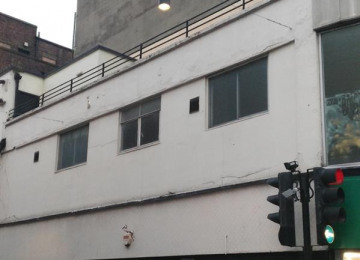 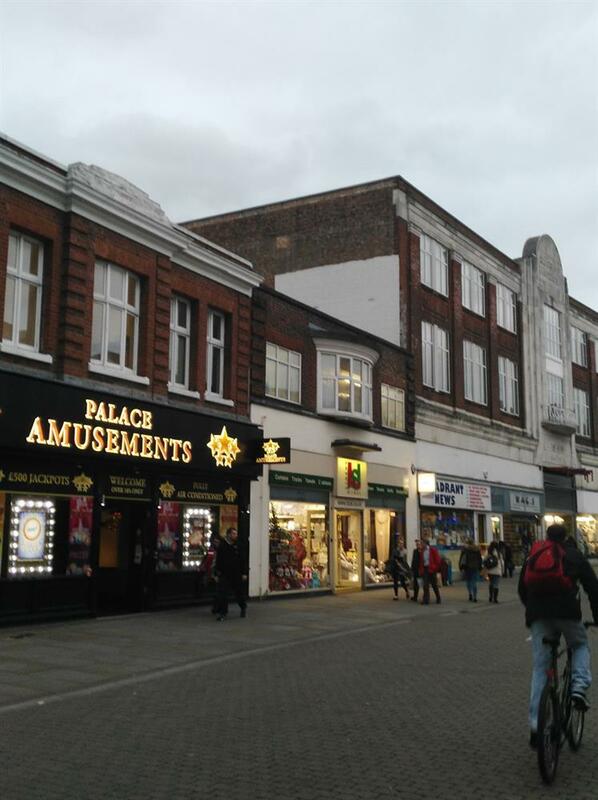 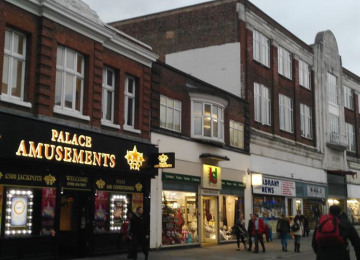 Romford, like most urban jungles can be grey and uninspiring at times; We want our High Street to be a place that doesn't just sell to us, but makes us smile and lifts our mood, providing accessible art for all ages and backgrounds. 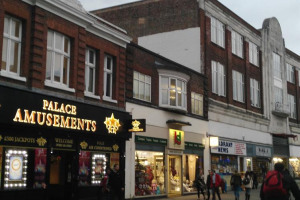 Working with students we hope to inspire our young community to take an active role in regenerating, shaping and curating our High Street - fostering a positive relationship with their town. 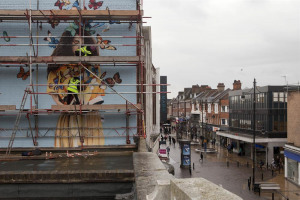 Located in a variety of sites, the students murals will utilise both abandoned spaces and existing businesses; making them more attractive to potential tenants as well as highlighting the range of excellent businesses that already exist in the town. 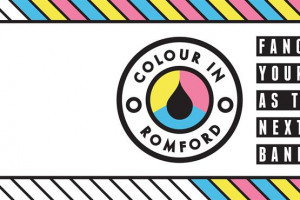 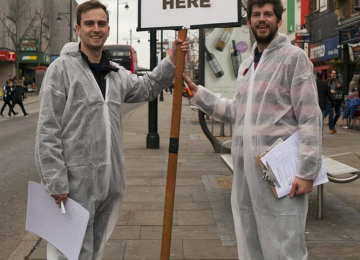 Colour in Romford is one step on a long journey for Romford - one day we believe we can be the centre of a cultural hub where people don’t have to leave the Borough to have access to creativity. 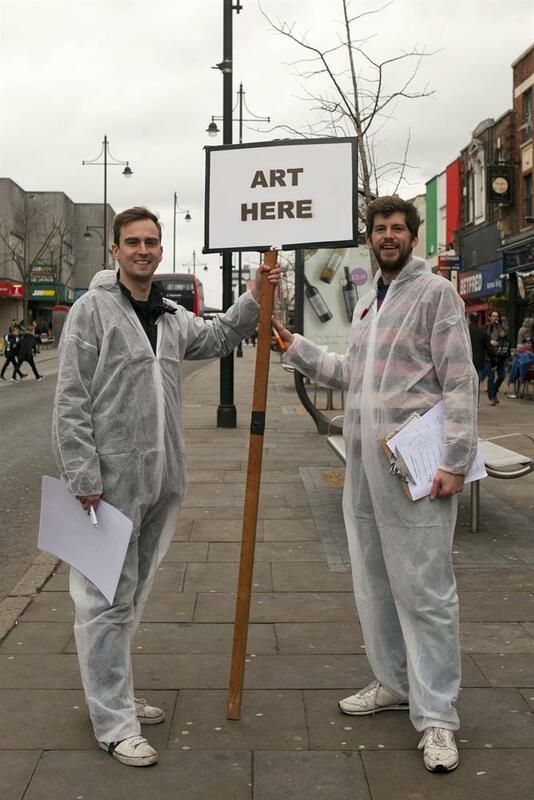 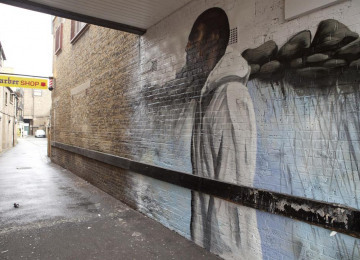 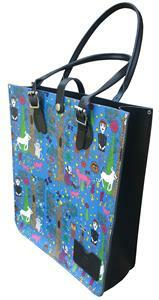 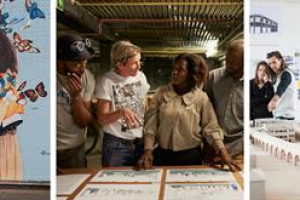 Through the audience friendly medium of street art we will continue our mission to develop audiences in the area. 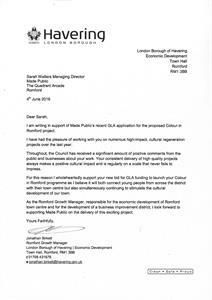 Thank you to The London Borough of Havering for their recommendation letter! 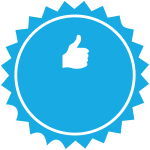 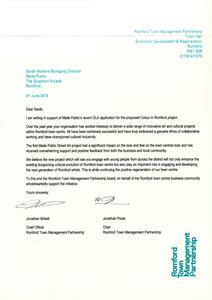 Thank you to Romford Town Management Partnership for their recommendation letter!